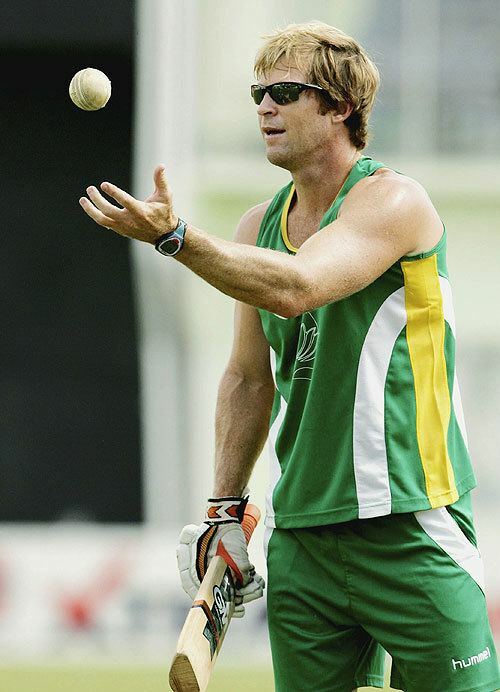 Jonathan Neil "Jonty" Rhodes (born 27 July 1969) is a former South African Test and One Day International cricketer. He is commonly regarded as one of the greatest fielders of all time., which he perfected to fly towards the ball for any direction at ease. 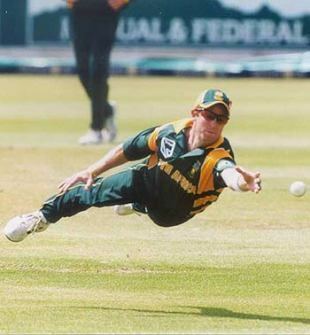 He played for the South African cricket team between 1992 and 2003. 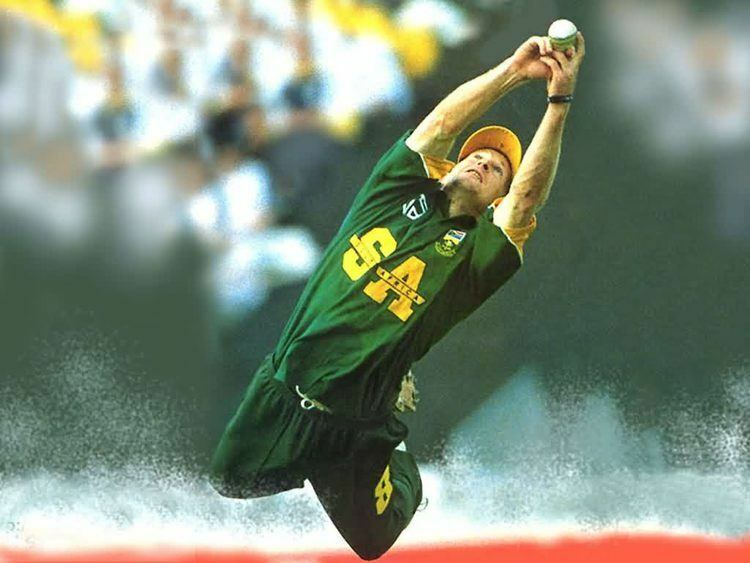 Rhodes was born in Pietermaritzburg, Natal Province, South Africa. Whilst being noted for his quick running as a right-handed batsman, he was especially noted for his fielding, particularly catching, ground fielding, and throwing from his most common position of backward point. 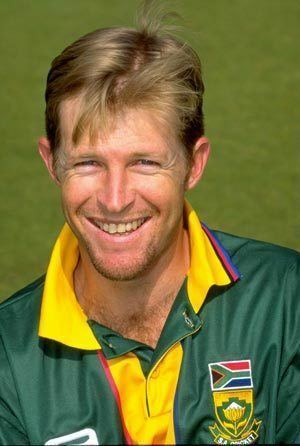 During his career he also played club cricket for the University of Natal in Pietermaritzburg and first-class cricket for Gloucestershire County Cricket Club, KwaZulu-Natal and Natal. 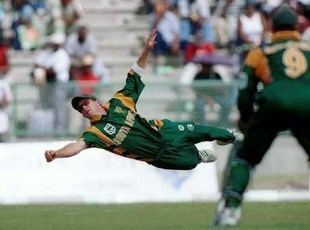 Rhodes retired from Test cricket in 2000, and from one day cricket in 2003 after an injury during the 2003 Cricket World Cup. 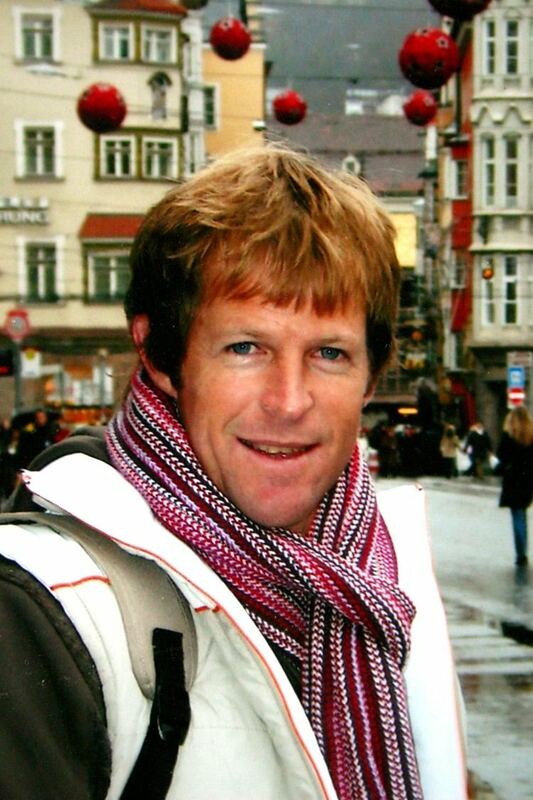 He married Kate McCarthy, a niece of Cuan McCarthy, on 16 April 1994 in Pietermaritzburg. The couple have since split up. 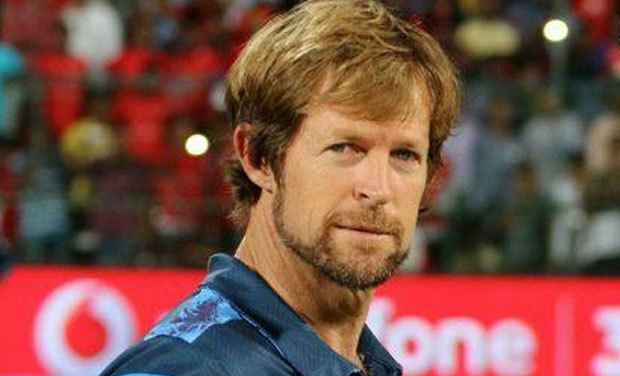 On 24 April 2015, Rhodes' second wife Melanie gave birth to a daughter named India Rhodes, in Mumbai. The couple named her after the country, stating they admired the rich culture and geographical diversity of the country. "“It is a very spiritual country, very forward-thinking nation. I really like that combination. You have to have a good balance of life. With the name like India, she will have the best of both worlds and that sort of balance," various media outlets had quoted him as saying.